VETIGRAPH offers easy-to-use solutions that are compatible with all CAD file formats on the market. The objective of the Vetigraph Expert 3D solution is to replace the first sample or prototypes with a virtual simulation. To have a vision of the good behavior of a garment in a short time becomes possible. 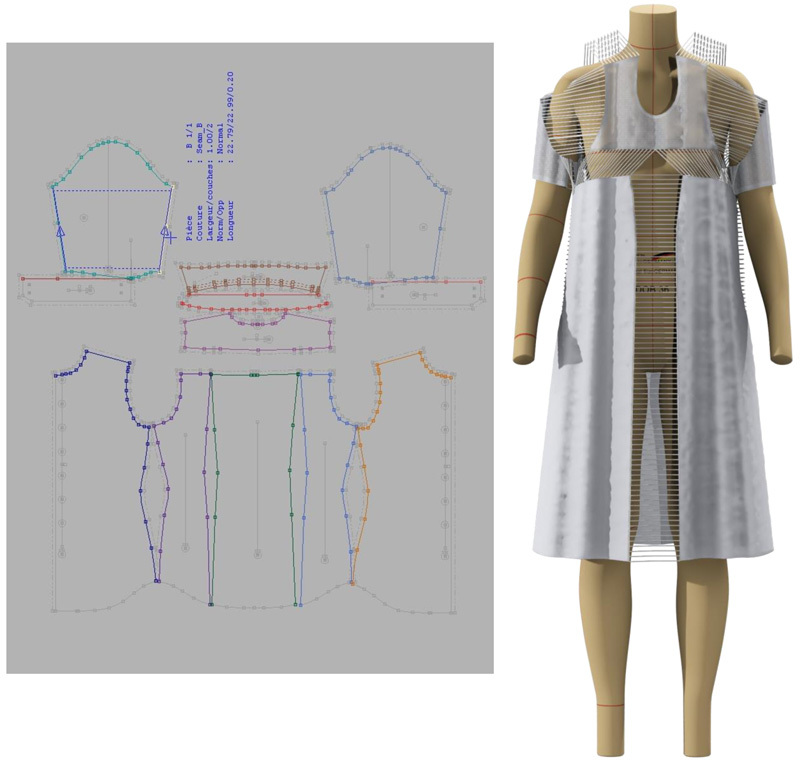 Thanks to a symbiosis between Vetigraph3D and VetiExpert, you can create your patronage with its gradations and sew it on a 3D avatar. A real commercial asset in the presentation of prototypes still in the project stage.